Introducing - Grandparents and Seniors Mornings! Beginning on July 9th, join us every 2nd Thursday of the month from 9am-12pm for special Grandparents and Seniors Mornings! Tickets will be $4/person for both children and adults. The Museum is a wonderful place to learn about our rich regional history and to remember the local s... continue reading. Birthday Parties at the Museum Looking for a unique venue to celebrate your child's special day? The Children's Museum is a great fit! We are upgrading our current Birthday Party Package, so stay tuned for the information as it is made available on our website and through our e-newsletters. Feel free to call o... continue reading. 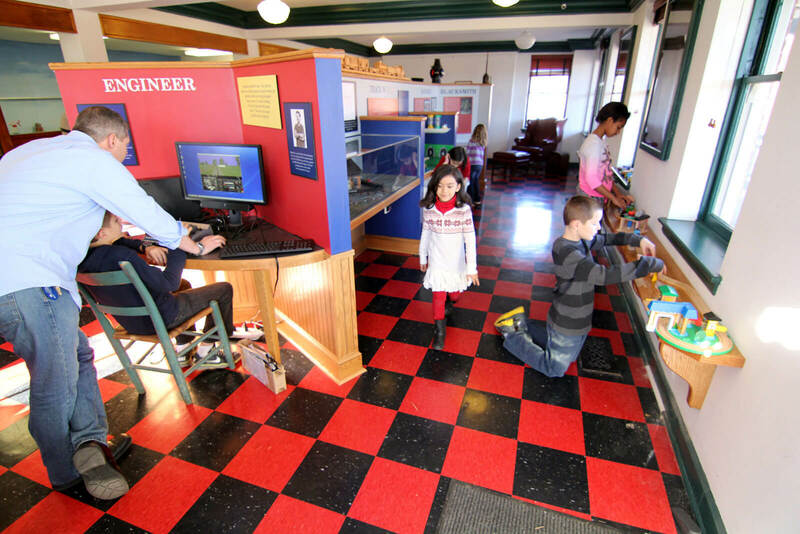 For The Kids, by George Children’s Museum profiled in State Journal On the right track: Martinsburg’s children’s museum continues to gain steam "Martinsburg native Bree Myers says she's continuing to find ways to let visitors and locals alike in on one of the city's best-kept secrets. It's the “For The Kids, By George”... continue reading.